Engraved Silver Plated Whistle Keyring. The engraving is done on the oval silver plated tag attached to the keyring. 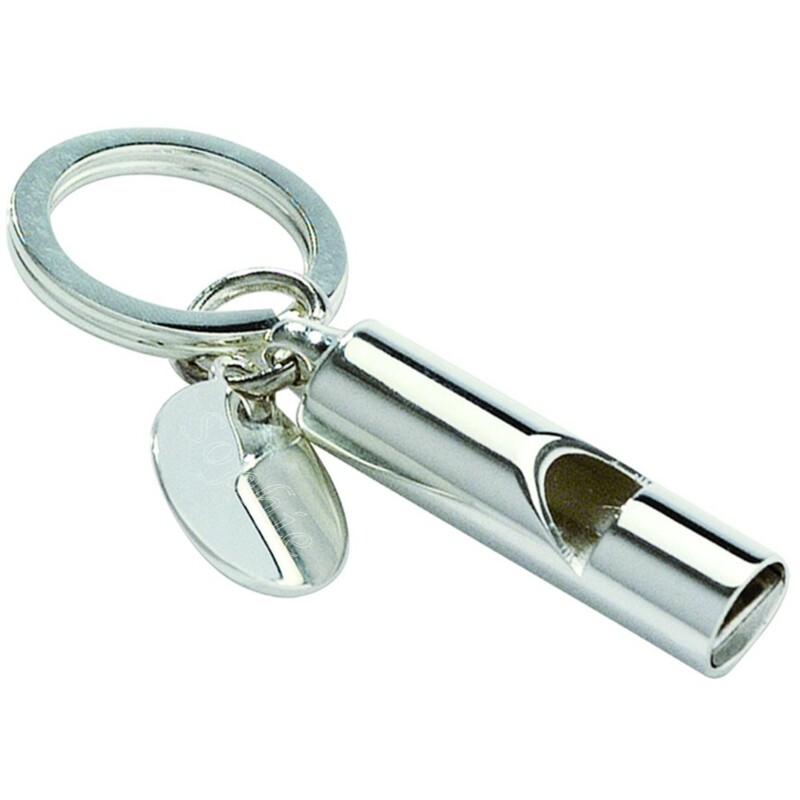 The length of the whistle keyring (includes keyring loop) is 80mm x 12mm x 20mm. Comes in a blue gift box.